Bridal, evening and special occasion wear, hand made to measure. Couture ~ How does it happen? 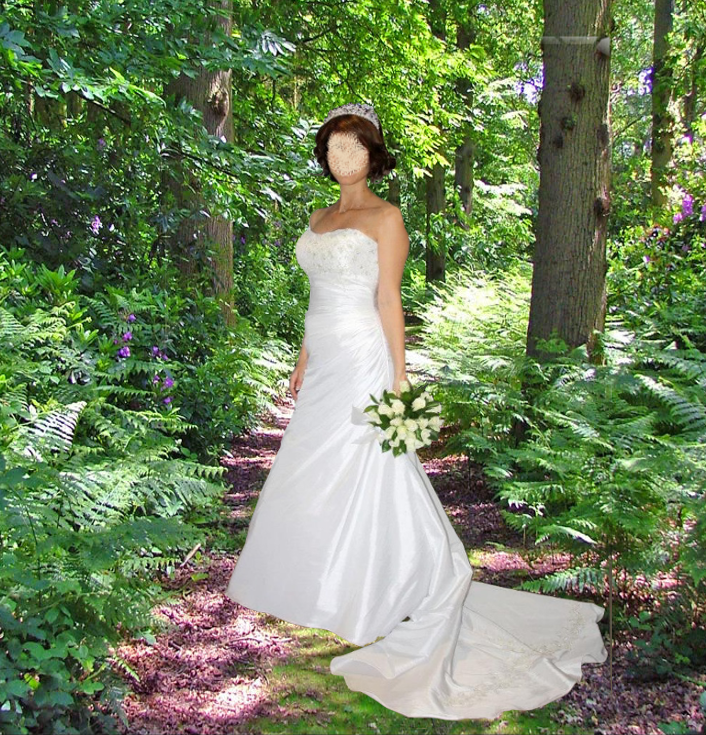 Why choose a made to measure bridal gown? Choosing a made to measure bridal gown as opposed to an off the peg gown will always ensure a unique gown or outfit that fits perfectly and makes you feel a million dollars. That said there are several factors which will influence such a decision, a few of which I have outlined here for you. One of the most important factors will be your own body! You may be very tall or very short, you may have a very full bust or be long in the waist with short legs, you may have had a limb amputated or a scar that you wish to cover up etc. etc. The list is endless. 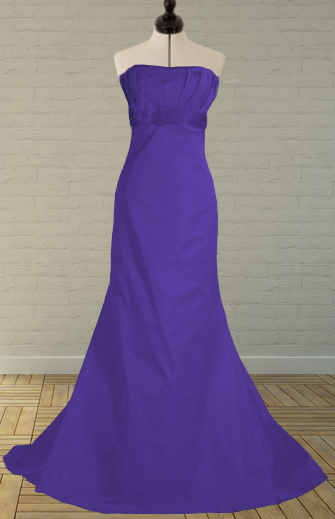 If you fit into any of the above slots or variations thereof then choosing a made to measure gown is a good idea. You may have a specific idea for your bridal gown eg. 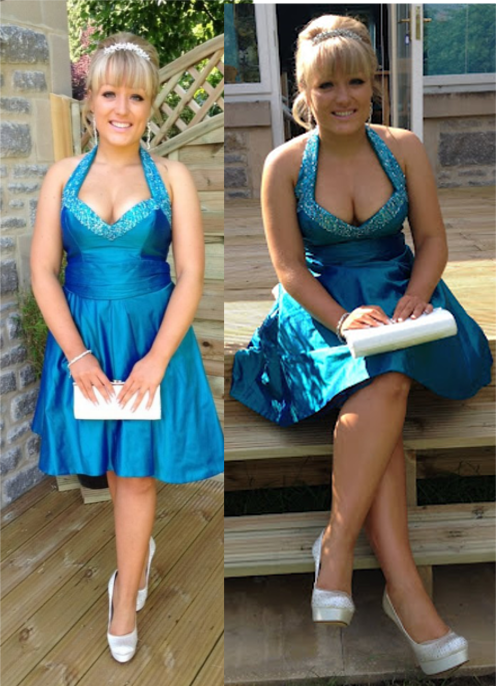 a cornflower blue shift with matching chiffon train and gold beaded detail around the hem! The likelihood of finding this in the shops is remote. Yes, there is one. One of the main difficulties I hear time and time again is that ladies are often very nervous of having something made because they can’t see the finished product beforehand. This is where off the peg scores highly and I would recommend any bride considering made to measure to go and try on all sorts of different gowns and get a good idea of what looks good and what doesn’t. Time is another factor which I will discuss more fully in “couture ~ how does it happen?” but if you choose made to measure you will have to invest a certain amount of your time ie going for fittings, choosing fabrics etc. The other possible difficulty is choosing a designer / dressmaker. Where does one start? Number one – ask around. A word of mouth recommendation is always the best. Yellow pages, bridal fairs, magazines and the web are all excellent sources of information. Having chosen a few names, visit them and get the feel of what she or he can do for you. Some designers have a certain “style” eg. they may concentrate solely on slim gowns in fabulous fabric with minimal detail which is wonderful but no good to you if you see yourself in a “Queen Elizabeth 1st” type gown! 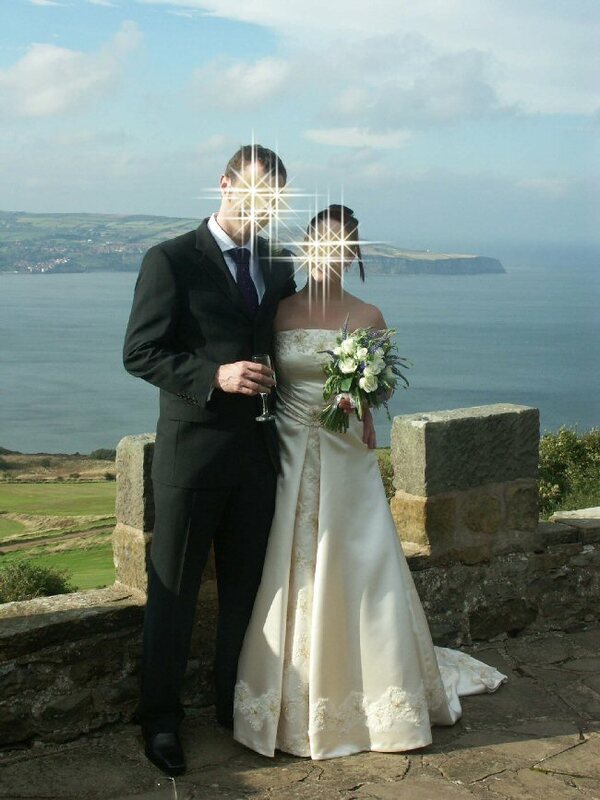 The first three reasons for having your gown made to measure are, as I have said before, exclusivity, exclusivity and exclusivity! There is simply no substitute for the feeling of wearing a gown that fits like a dream and knowing that your gown is the only one in the world! The first myth I would like to dispel is the “The shop took my measurements and the dress I have chosen is being made for me” Nothing wrong in that except that is is not the same thing as having your dress made to measure exclusively for you. Your dress in that instance is simply being made to order and as such really hasn’t got a prayer of fitting you perfectly (please see Q & A5 below) and even worse the sometimes very large price tag attached to such a dress is not always a reflection of the quality. Very sadly, many of these dresses, even ones with “big names” are made up in the Far East, under far from ideal conditions. That said, there are still, thank goodness some absolutely fabulous designers out there that source and make up in good old Blighty! The only way you can have your dress truly made to measure is to attend various fittings with your designer on a one to one basis. Simple. Q1. Why go to all the bother of having a gown made when I can go to a shop and get them to alter it if it doesn’t fit properly? A1. 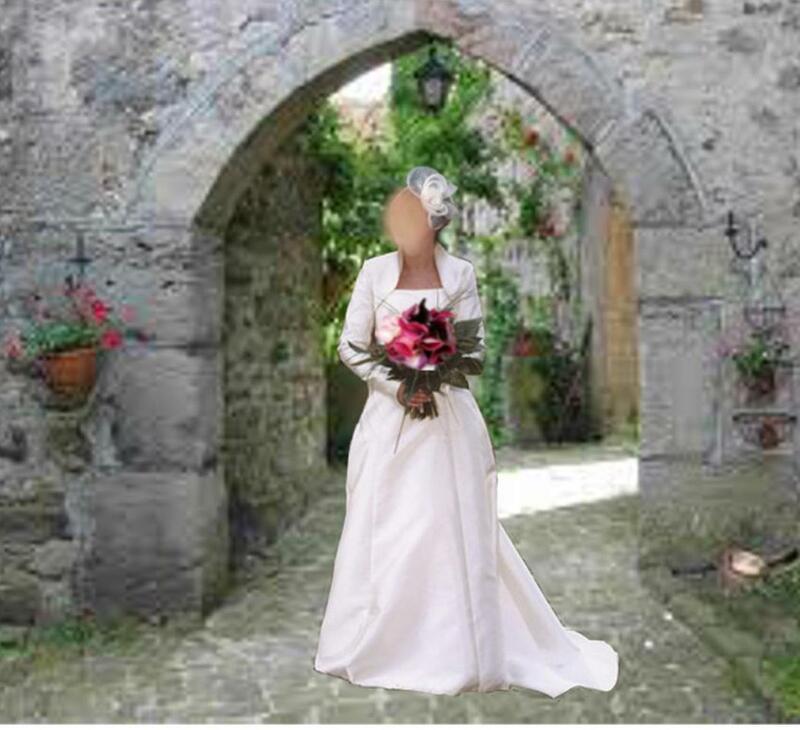 If the exclusivity factor is unimportant to you then the answer to the first part of the question is obviously yes go and buy a gown but if it doesn’t fit properly you then begin to run into a potential minefield. Some alterations are very simple and will present no problem. Others, however, such as necklines, shoulder areas and bodice length can be very tricky, so much so that it is often better to walk away from the dress rather than risk a less than perfect result. Consider very carefully the amount of work that is going to be needed to alter your gown and be sure to ask exactly what will be involved. What to you may seem like a simple little neck alteration may in fact result in having to remove the sleeves, recut the armhole and reset the sleeves. It is not always worth the risk of fiddling with an already expensive gown to end up with something that is ok but not just “quite right”. Q2. 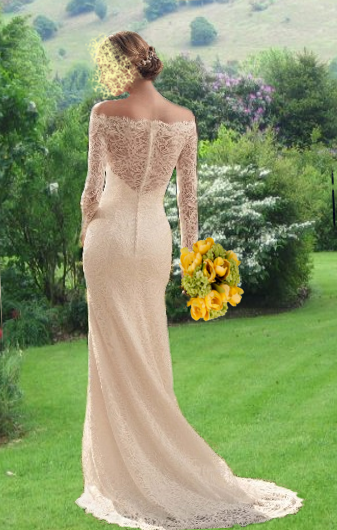 Why not simply hire the gown? A2. Again, no reason why not but the chances of having the “alteration” problem coming into play here are high and don’t forget that this may possibly be a gown that has already been altered before. There is nothing wrong with that. It is just that there are limits as to how many times you can unpick a garment and still have it end up looking pristine. Q3. I tried on a size 12 dress which was too small, so the shop have ordered me a size 14. How do I know it will be ok? A3. This is always a very fraught area and the simple answer is you don’t. That said, most retailers have very experienced staff who are not only very good at weighing up your body shape etc but they also have extensive knowledge of their suppliers. That is to say that they are switched on to, say, Designer A’s sizes being generous or designer B’s skirt lengths being short or Designer C’s sleeves being very slim fitting (no good to you if you do a lot of sport and have very well developed arm muscles) and can therefore order accordingly. However, common sense tells you that if for example you have a large bust and slim hips ordering a sheath style dress for you is going to present problems. The same sort of thing applies if you are very short waisted and again have chosen a sheath style dress. What are you going to do with the excess ruckle of fabric that will gather round your waist? Short of changing your shift dress into a dress with a waist seam there is nothing whatsoever you can do about it. Q4. 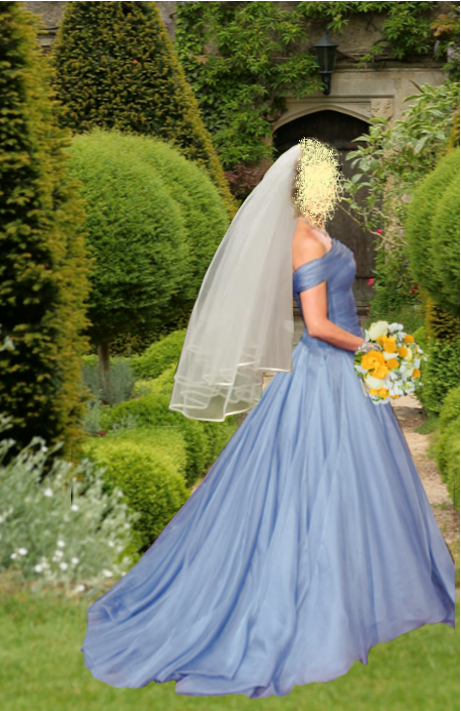 When I tried it on, why does the dress I have chosen look nothing like it did in the magazine? A4.The chances are that in the magazine the gown was being modelled by someone with a completely different body shape to you. For the sake of the “photo shoot” it was also probably safety pinned and bulldog clipped all the way down the back and so maximising the model’s already non existent waist, washboard tummy and giraffe length legs. It’s an illusion and you too can have that illusion but it more than likely means that you are better off choosing a couture gown. Q5. I went to try on a second hand gown that had been worn by a person with the same measurements as me but it didn’t fit. Why? A5. Just because person A’s bust measurement is the same as person B’s it does not mean to say that they are the same. Person A may have a very broad back and average sized breasts whereas person B may have a very narrow back and full breasts. This will result in the same measurement on the tape measure but there is no way their dresses would be interchangeable. The same applies to hips. Somebody with a wide pelvis and flat bottom could easily have the same measurement as someone with a narrower pelvis but chubbier bottom. Once again their dresses wouldn’t be interchangeable. Person A may measure 38”, 30”, 40” and person B may measure 38½”, 30”, 39½”- not exactly miles apart you would think. However, not only does the above apply but those measurements don’t tell you anything at all about either A or B’s height. Person A may be very short waisted but have long legs. Person B may have very short legs and broad shoulders. 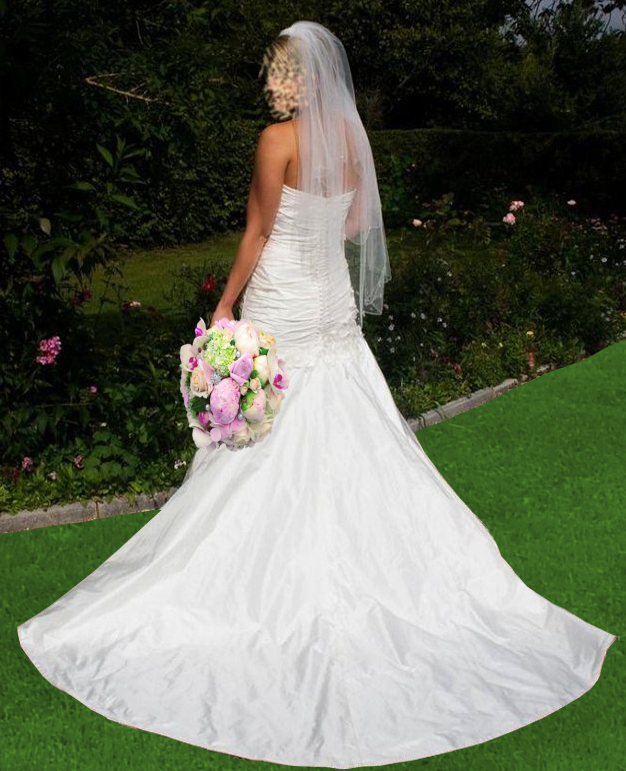 There are a multitude of variations all of which are ironed out when you have your gown made to measure. A6. Don’t be! The best place to start is at the opposite end of the scale with what you don’t want. You will be surprised at how much this narrows down you choices. Your body shape may determine some other decisions such as slim or full gown, venue and time of year will have a bearing and other decisions such as colour, cut and detail are your designer’s forté – so relax and enjoy the process. It is highly unlikely that your gown will be anything other than that of your dreams. Q7. Won’t my dress look “homemade” if I have it made to measure? A7. Certainly not! Or perhaps I should say, certainly not if you choose a reputable designer / dressmaker. Always ask to see their work and you will soon be reassured that the “homemade” tag does not apply. Q8. Why do some size 12s fit me and others don’t? A8. I could bore for Britain as to what I think about dress sizes. In my view they are probably the single biggest cause of tranquiliser popping known to man (or woman)! We all vary so enormously in size and shape that it would be impossible to categorise us into our existing dress size scale. What one manufacturer calls a size 10 could be poles apart from another manufacturer’s size 10. All these sizes are simply meaningless. The only purpose, it seems to me, that they serve, is to send women into stratospheric ecstasy because they can get into a size 10 or reaching for a near starvation diet because they can’t! Forget them, concentrate on what fits and flatters you – that is all that matters. The beauty of having a couture gown is that dress sizes simply don’t get a mention!